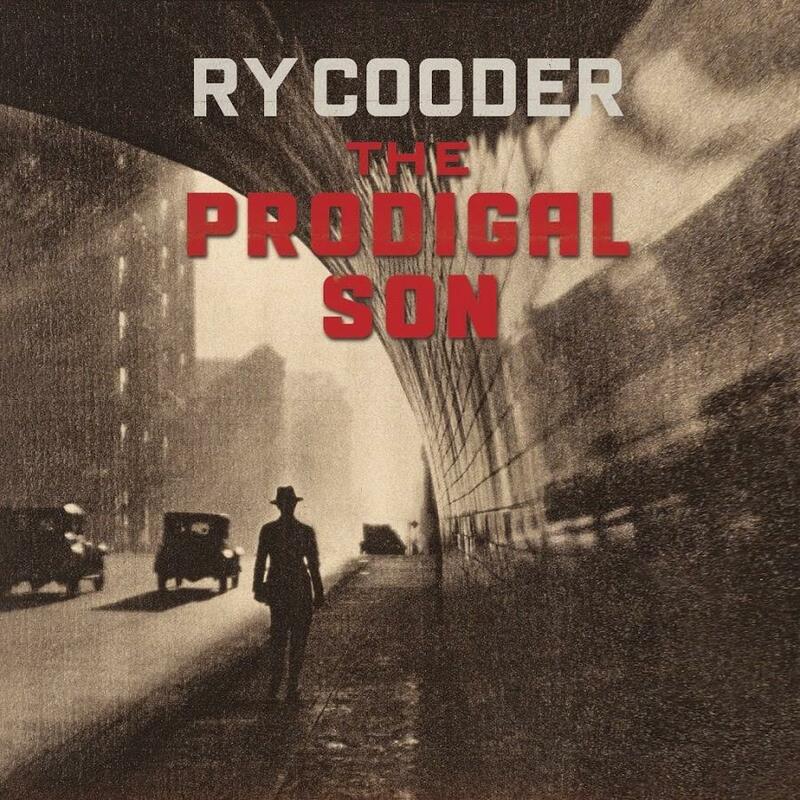 The Prodigal Son is Ry Cooder’s first new solo album in six years. For nearly 50 years, the immense scope and influence of Ry Cooder’s music has been felt as much, or more than heard. As master musician, producer, songwriter and sage, the Santa Monica, California native has explored music and culture from across the city, the state, the country and around the world. Framed by his expressive vocals and elegant guitar work, this is music for these times. A deft commentary on our ailing moral state, The Prodigal Son is a fearless dive into the country’s soul, and the man, Ry Cooder. Legendary guitarist and American roots music interpreter Ry Cooder is back, firing on all cylinders. After a six-year break this is one of his best efforts ever. His previous topical albums, Pull Up Some Dust (2011) and Election Special (2012), were good. The Prodigal Son is in the same direction and is really something to get excited about. It features lots of covers (Blind Willie Johnson, The Stanley Brothers) as well as three originals. The Prodigal Son offers vintage Cooder – a mixture of rocking blues, gospel, and folk, with subversive humour. Where once it was the union-busting ‘Vigilante Man’ of Woody Guthrie’s time, now the new targets are the coffee-drinking ‘Google Men’ (‘Gentrification’), the Wall builders (Blind Willie Johnson, ‘Everybody Ought to Treat a Stranger Right’) and the Christian right (Blind Alfred Reed, ‘You Must Unload’). The Prodigal Son abounds with classic riffs, grooves and that distinctive acoustic and electric slide. It’s like the best of those early albums with the bonus of having a much more confident singer. Cooder imparted a lot of his tricks of the trade to a willing Keith Richards all those years ago but, for me, Cooder is the master. His small band includes percussionist son and co-producer Joachim, a bass player and some very unusual sax playing. Deep gospel and blues harmony singing lends added atmosphere and a sense of hope to this joyous round of music making. There will be a world tour in support of the album, but sadly there are no Australian dates yet. The exciting live-in-the-studio clips on YouTube show him totally in command as singer and guitarist, and having the time of his life.